In Fine Fettle Has Moved! ……We are now located at 176 Princes Hwy, Pakenham. It takes a great deal of trust and consideration when selecting a health practitioner. We at In Fine Fettle appreciate this and pride ourselves on professionalism, yet friendly & compassionate service. With over 15 years experience in Massage Therapy & Natural Healing, our aim is to show you ways to feel healthier and improve your total wellness – your mind, body & soul. 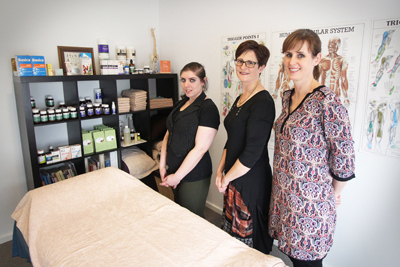 Our professionally qualified staff are members of AAMT (Australian Association of Massage Therapists) and ANTA (Australian Natural Therapists Association) respectively. Our staff possess extensive training & experience so you get the most out of your treatments. You can relax & rejuvenate with an aromatherapy message, be rid of troublesome aches & pains with more specialised massage techniques, or obtain health advice from our qualified Naturopath. Copyright © 2019 In Fine Fettle. All rights reserved.